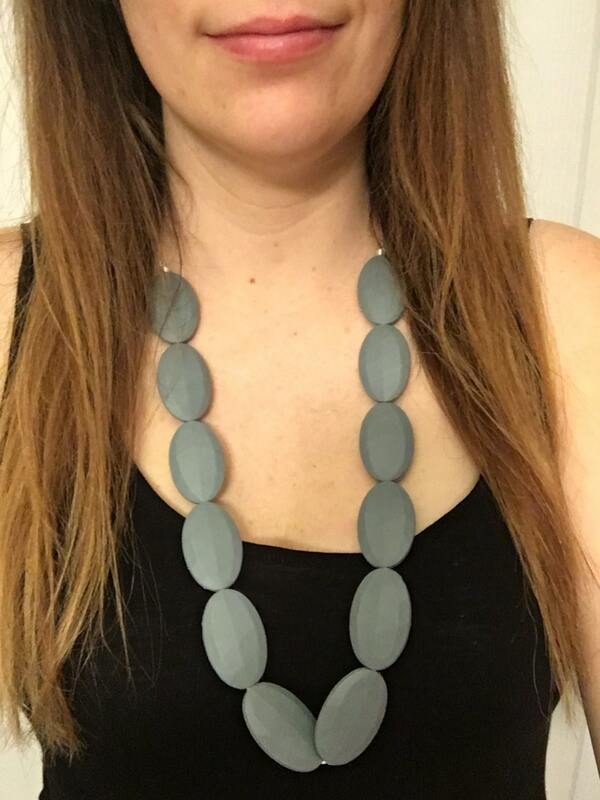 Large oval shaped beads make a necklace you can dress up with and baby will love! Make sure to check out the other color options! Made with non-toxic silicone beads and knots at the end and breakaway clasps for safety. The cord is made of a safe strong satin.